If you're a planetary scientist with a specialty in the worlds beyond Saturn, life is pretty frustrating. Jupiter has been visited by nine spacecraft, including years of attention from Galileo and Juno, while Neptune, Uranus, and Pluto got one fly-by each (three decades ago for the gas planets). This week's announcements of water on Mars and speculation that life on Europa could be more reachable than we thought will push more distant missions even further down the priority list. In an effort to address this situation, 50 astronomers have put forward a proposal to make two missions do the work of half a dozen, stretching the money much further. The proposal, published on arXiv, involves putting a spacecraft into orbit around Neptune (including a probe of its atmosphere) and multiple passes of the giant moon Triton. The second mission will fly by Uranus, a more distant dwarf planet, and at least one smaller object. “These two missions will together revolutionize scientific understanding of the outer Solar System, Ice Giant (IG) planets and their satellites, dwarf planets, as well as the processes that shape the evolution of the planets, their satellites, and Kuiper Belt Objects (KBOs),” the authors argue. New Horizons' flyby of Pluto and Charon proved even more exciting than astronomers had expected, indicating a complex history and even an atmosphere sufficient to sculpt dunes. Yet the reason Pluto was demoted to a dwarf planet was because we were finding so many similarly sized KBOs that it didn't seem special anymore. It therefore seems likely there will be just as much to learn by studying less famous KBOs. 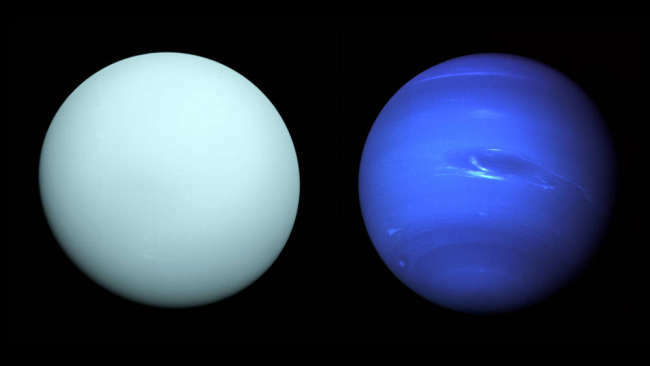 Meanwhile, Neptune and Uranus have very different compositions from the better-studied gas giants, being two-thirds water, while Jupiter and Saturn are 85 percent hydrogen and helium, have offset magnetic fields we don't understand, and some deeply curious satellites. Even before New Horizons' visit, the National Research Council outlined many targets they would like to visit in the space beyond Saturn in the Vision and Voyages Decadal Survey, published in 2011. Nor is it likely the private sector will save us. While billionaires challenge each other as to who will be first to land humans on Mars, it's not just a fear of smutty jokes that mean none of them are planning to explore Uranus. At an estimated combined cost of $3.6 billion, these two missions are expensive by most standards, but cheap compared to the James Webb Space Telescope and to the proposed Europa Clipper and the Mars 2020 rover.